Totally Awesome: The Greatest Cartoons of the Eighties is the ultimate guide to '80s cartoon nostalgia, featuring the art, toys, and inside story behind icons like He-Man, the Teenage Mutant Ninja Turtles, G.I. Joe, and the Thundercats. For an entire generation of kids weaned on the intoxicating excitement of eighties cartoons, the decade can be summed up with two words: Totally Awesome! With a thriving Saturday morning network schedule, a full complement of weekday syndicated programming, and the removal of guidelines that prevented cartoons from being based on toys, the 1980s enjoyed an unprecedented TV animation boom that made household names of a host of colorful characters. From He-Man and the Masters of the Universe to The Transformers, G.I. Joe, and The Muppet Babies, eighties cartoons would have such a huge impact on an entire generation that decades later they have become pop culture touchstones, revered by fans whose young minds were blown by their vivid visuals and snappy storytelling. In this deluxe book, Andrew Farago, a respected cartoon historian and child of the eighties, provides an inside look at the history of the most popular cartoons of the decade, as told by the writers, animators, voice actors, and other creative talents who brought life to some of the era’s most enduring animated shows. 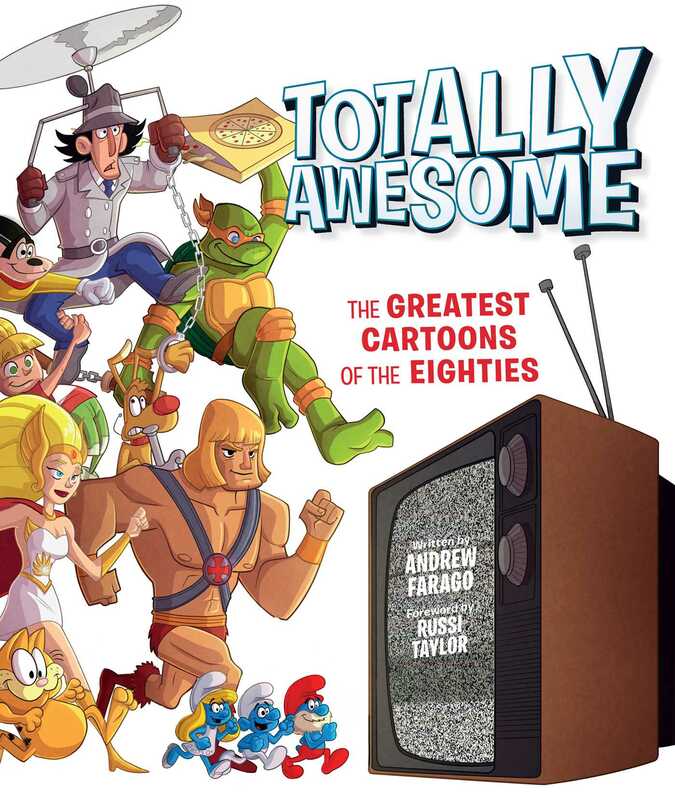 Also featuring Thundercats, Inspector Gadget, Teenage Mutant Ninja Turtles, and many more cartoon classics, Totally Awesome is a treasure trove of eighties animation nostalgia that will take fans back to a time of unlimited imagination and unparalleled adventure. Andrew Farago is the curator of San Francisco’s Cartoon Art Museum. He is the author of The Looney Tunes Treasury and the Harvey Award-winning Teenage Mutant Ninja Turtles: The Ultimate Visual History, and The Complete Peanuts Family Album. Farago received the prestigious Inkpot Award from Comic-Con International in 2015.